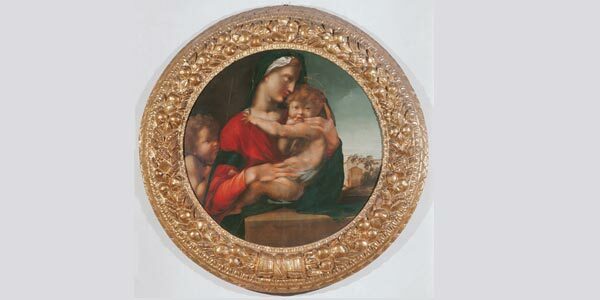 As the New Uffizi project continues, the new Michelangelo room has opened in Room 35 and for now Rooms 25-34 (where Michelangelo’s Tondo Doni used to be housed) are temporarily closed as renovations continue. A selection of works by Titian, Veronese and Tintoretto are on display in Rooms 43 and 44 for the moment. As part of an experiment in introducing visitors to part of the new Uffizi rooms dedicated to foreign painters called the “Blue Rooms”, for the month of March and April and only on Wednesdays the rooms can only be visited with a guide. Starting at 9:30am and every half hour until 5:30pm, visitors should gather outside the rooms at the meeting point near the elevator and wait for the next tour to start. There will be 2 groups of 15 people at a time. This project is part of the Uffizi’s wish to experiment in offering new ways to visit and discover the masterpieces contained within the museum. After this period, the museum will evaluate visitor feedback to see whether this service is something to offer on a permanent basis. Please let the guide know what you think! 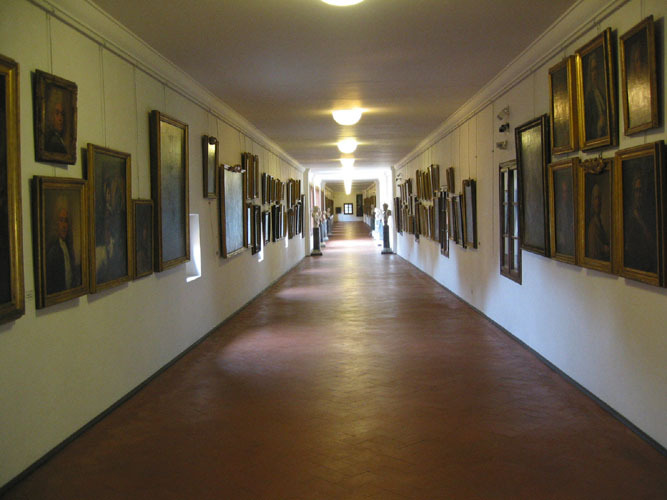 The entrance to the Vasari Corridor is once again through the western corridor of the Uffizi. The corridor – with entrance at the Uffizi, passage over Ponte Vecchio and exit at the Boboli Gardens near the Buontalenti Grotto – can only be visited in groups at the moment organized through external travel agencies. You can book your visit to the Vasari Corridor, including a tour of the Uffizi Gallery, with a personal guide here. The Uffizi Gallery along with the other museums that are part of the Polo Museale Fiorentino (including the Accademia, Bargello and Pitti) will be open on Easter Sunday (March 31) and exceptionally also on Easter Monday (April 1). The restoration of three of the most ancient works of art housed at the Uffizi has been completed and will soon make their way back to the Uffizi’s exhibition halls. Completely financed by the Friends of the Uffizi Association, the restoration involved two wooden crosses and a diptych from the pre-Giotto period: a cross from the 12th century in Pisan style and another cross from the second half of the 12th century attributed to the Master of the Cross 434. 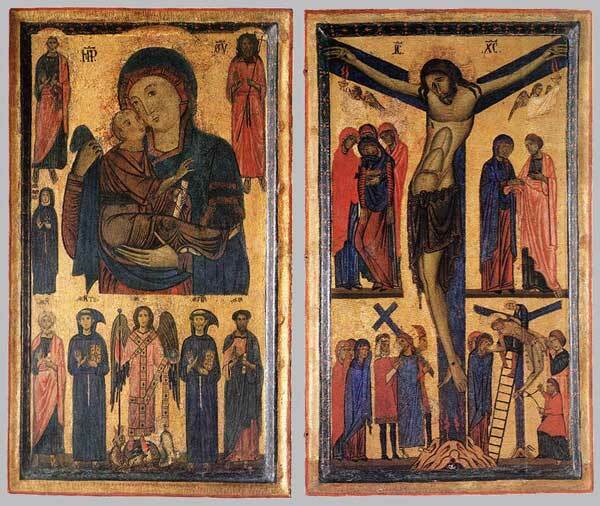 The dyptich is from around the mid-1200s and shows a Crucifixion and a Madonna with Child and Saints attributed to Bonaventura Berlinghieri. Until March 29, the three works can be seen for free within the medieval ex-church San Pier Schieraggio Tuesdays-Sundays from 9am-6pm before they return to Hall 2 where works by Giotto, Cimabue and Duccio da Buoninsegna are exposed. As the New Uffizi project continues, the three works should eventually make their way to a better display within Hall 1. The new exhibit “Norma e Capriccio: Spanish Artists in Italy in the Early Mannerist Period” opened at the Uffizi Gallery on March 5th and will continue until May 26th. The temporary exhibit is spread over 8 rooms on the first floor dedicated to the major Spanish artists that came to Italy at the start of the 15th century: Alonso Berruguete, Pedro Machuca, Pedro Fernández, Bartolomé Ordóñez and Diego de Silóe. This is the first ever exhibit of its kind, showing the work of Spanish artists during their travels in Florence and Spain between 1500 and the 1520s. The show was born from a reflection attributed to Michelangelo who recognized the talent of the Spanish artists in creating works of art in the same style as Italian mannerism, which in turn was styled after works of ancient Greece. During this period, admission tickets to the Uffizi include the exhibition (thus cost a bit more). Celebrate this Valentine’s Day at the Uffizi Gallery – on February 14 a couple can enter by paying only one ticket. 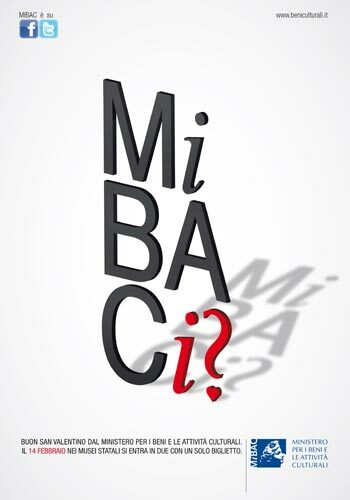 The museum is taking part of the initiative “MiBACi?” (a play on the acronym to say “will you kiss me?”) promoted for St. Valentine’s by MIBAC (the Ministry of Cultural Patrimony in Italy) and as such is giving all couples the chance to celebrate the day of love in one of the most beautiful art museums in the world. The event is actually active for all state-run Italian museums, monuments and archeological sites and so the state-run museums in Florence are included. This means that in Florence, in addition to the Uffizi, you could buy 2 tickets paying just 1 to also visit the San Marco museum, the Opificio delle Pietre Dure museum, the Accademia Gallery, the Modern Art Gallery and Palatine Gallery at the Pitti Palace, the Medici Chapels and many other state-run sites. You can find the complete list – for locations in Florence and the rest of Tuscany – at the MIBAC official website here. The official presentation of the newly reopened Room 35 at the Uffizi Gallery, now called the Michelangelo Room, took place this past Monday January 28 2013. After several months of being closed, the public can once again enjoy all of its riches. Located on the second floor of the museum, the room’s new colorful background better exhibits some of the most beautiful works of art within the Gallery, including the Tondo Doni by Michelangelo that used to be in Room 25. At the center of the room the public can also finally once again view the majestic Sleeping Ariadne, a statue that has returned to the museum after 2 centuries of being in other galleries across the world. 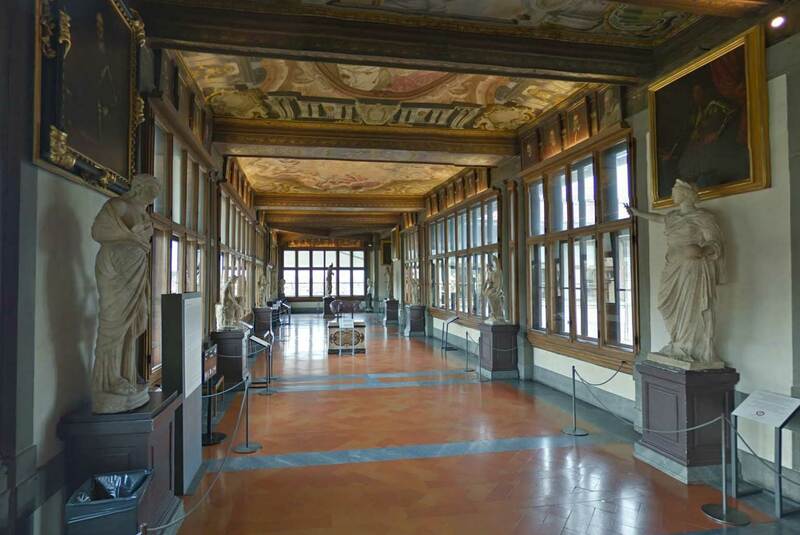 The Uffizi Gallery is closed on December 25th, 2012 and January 1st, 2013. The museum will have a special opening on Monday December 24 and 31 from 8:15am to 6pm. If you’re looking for something to do on January 1st, we recommend you visit the exhibition “Alchemy and the Arts” in the Reali Poste hall of the Uffizi (ground floor). Also note that between December 20 and January 6, the Hall of Perugino will be closed to the public. 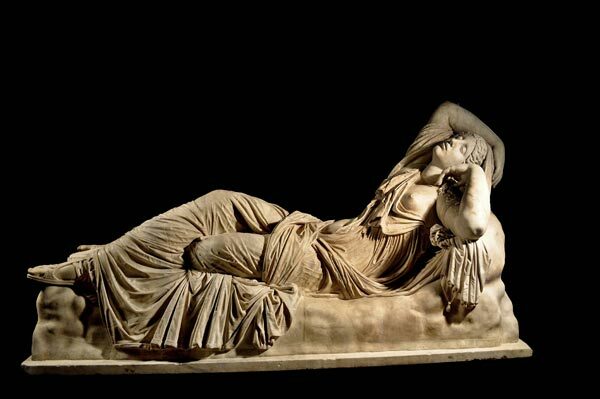 Finally, after more than 200 years, the beautiful, imposing statue called the Sleeping Ariadne (Arianna Addormentata) has returned to the Uffizi Gallery. The sculpture, dating from the third century AD, should find its permanent home in the new set-up of Hall 35, which will be dedicated to Michelangelo. The hall should be reopening soon, stay tuned for more details!